Simple Sales Ledger features in just a few clicks. With ‘GesCom Light’ you can produce, edit and issue renewal notices, events bookings and receipts directly in Eudonet, in just a few clicks. 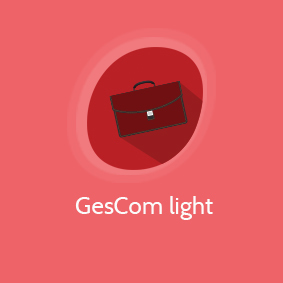 The “GesCom Light” extension in Eudonet provides you with all the functionality you would expect from a simple sales ledger. This minimises the potential for error and provides you with a management tool specific tailored to your sales ledger financials. Sending of documentation via email or post. You sales ledger functionality is more efficient as you have access to information updated in real-time. You are then better placed to respond quickly and clearly, to the needs of current contacts whether they are joining, renewing, booking on to an event. * The Gescom Light extension is included in the Standard pricing model.